What is Valentine’s Day to you? A commercial holiday? A day for celebrating with your female pals, therefore making it Galentine’s Day? Or is it a meaningful celebration of love and relationships? Whatever your view, there’s no ignoring February 14th and the fact that it’s fast approaching. Sit down dinners can be stuffy, and if you’re a last minute planner like I am, restaurants are often full or overbooked. Cooking at home can be stressful with decorating and expectations, and eye contact with the delivery person at 9 pm on Valentine’s Day is less than desirable. Nevertheless we all have to eat, and a delicious dessert is one sure way to spice up the end of the night or drown your sorrows, depending on where you fall on Cupid’s spectrum. 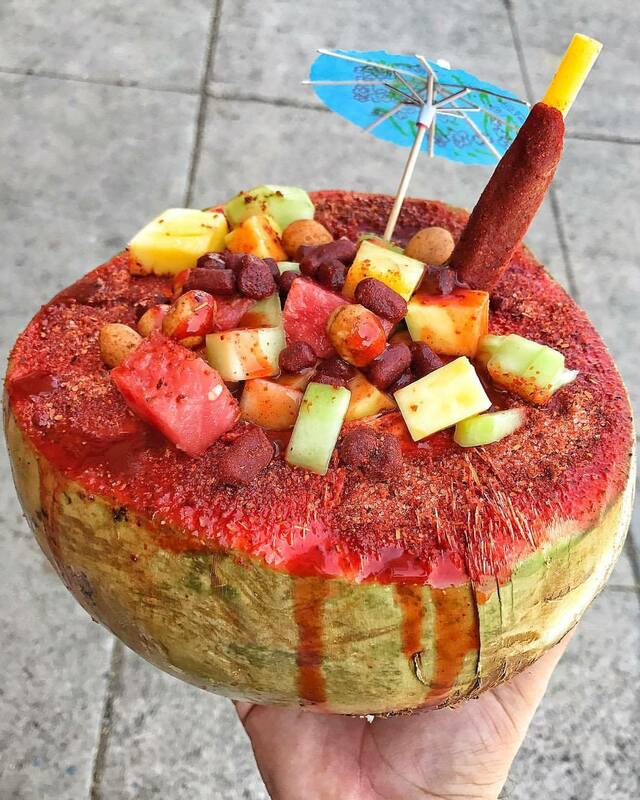 Take a look at some of our favorite dessert trucks that are sure to satisfy your sweet tooth and get you in the mood for loving on Valentine’s Day. Founded by a mother and daughter duo with a penchant for sweets, this cupcake slinging food truck is a must-try if you find yourself celebrating Valentine’s Day in the New Haven area. 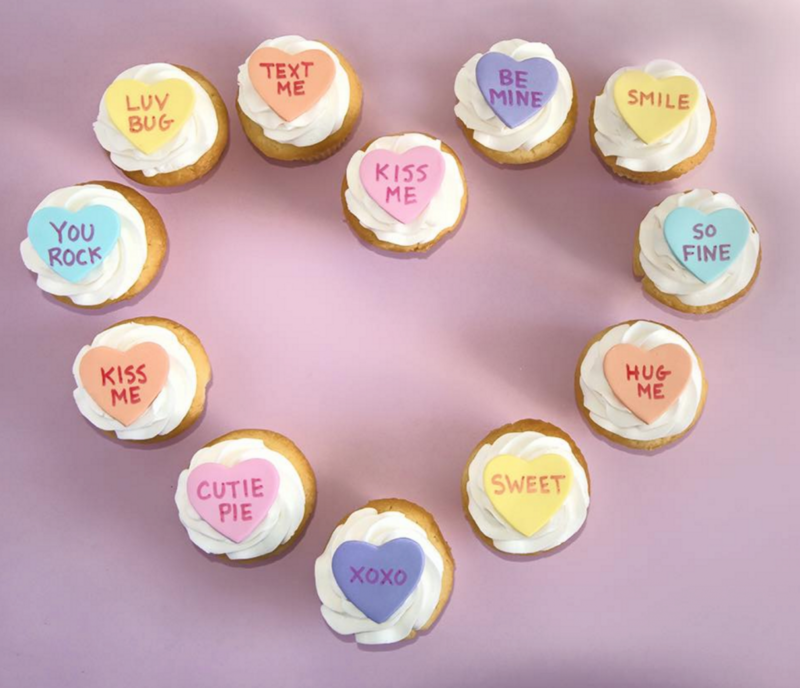 These tasty cupcakes, created specifically for this year’s February 14th celebrations, are topped with different phrases like “text me”, “you rock”, or the more traditional “be mine”. Although flowers are always pretty to look at, they just don’t taste as good, so pick up a Cupcake Bouquet, a delicious assortment of 12 Valentine cupcakes. Scout’s Treat Truck in Indianapolis will make it impossible to forget Valentine’s Day with their heavenly desserts…and potatoes. That’s right, this February 14th forget the flowers and chocolates and instead send your significant other, friend, or mom a potato with a handwritten message on it. 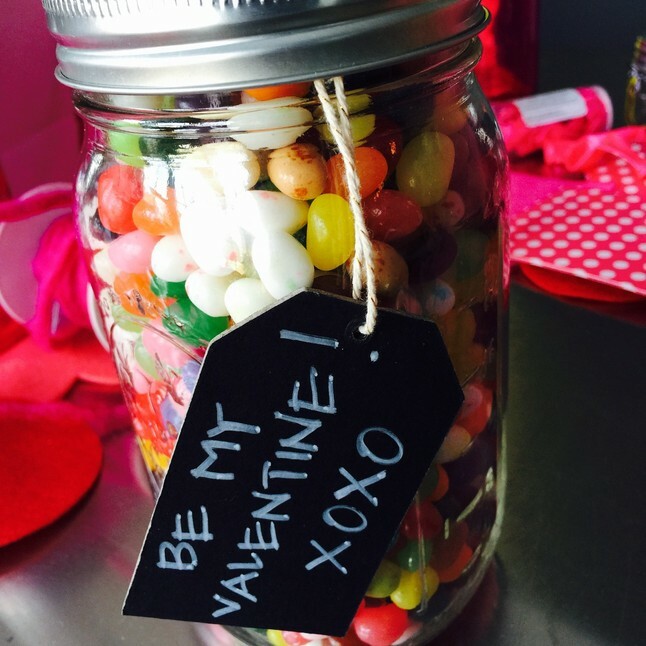 If your Valentine isn’t the type to be impressed by a spud that has “grow old with me” scrawled on it, Scout’s offers more traditional treats like cute candy filled mason jars and assorted themed candy boxes. 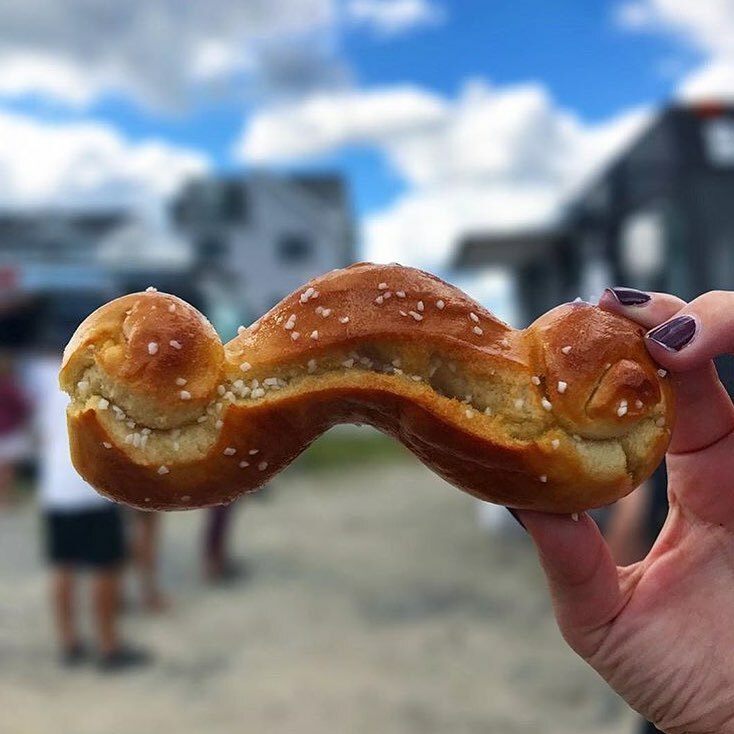 Whether you take a lighthearted or more traditional route on Sunday, this mobile sweet factory (the first and original in Indianapolis) is sure to please. Besides having the perfect name for a Valentine’s Day food truck list, Flirty Cupcakes in Chicago also has the perfect treats to make your February 14th the sweetest one yet. Order a Valentine’s Day staple like chocolate covered strawberries, or the ever popular “Raspberry Stole My Heart”, a decadent chocolate cupcake topped and filled with a raspberry cream cheese frosting, brought back specifically for this lovely weekend. 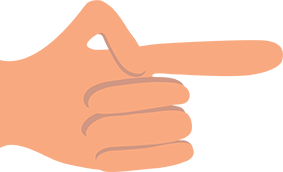 Flirty Cupcakes was named one of the Best of Chicago in 2014 so you know that you and your date are in great hands. Specializing in all natural and organic soft serve ice cream treats with the option to add toppings galore, Ice Cream Express is sure to cool down and sweeten up your Valentine’s Day in Miami. 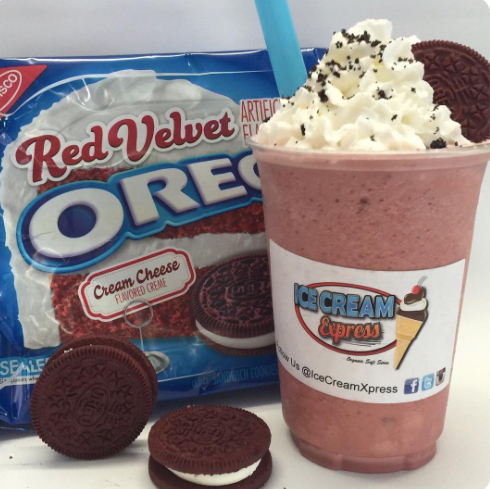 What warrants them a spot on this list is their specialty Sweetheart’s Day shake, a rich and creamy Red Velvet Oreo Cookie milkshake that definitely can’t be found anywhere else. The Treats Truck is sure to make your Sunday a little sweeter with their extensive menu made especially for Valentine’s Day. 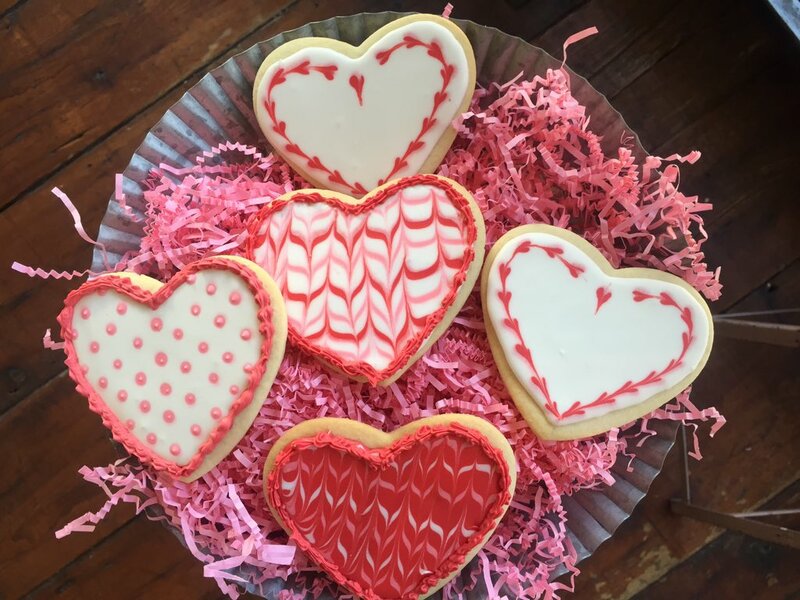 For friends and couples looking to spread the love in New York, try the Valentine cookie decorating kit, complete with four cookies, pink and white icing, and sprinkles, or share a Valentine gift bag filled with sugar and chocolate heart cookies. Offering gift boxes that include an assortment of yummy goodies and a personalized note, the Treats Truck has you covered in the decadent department. 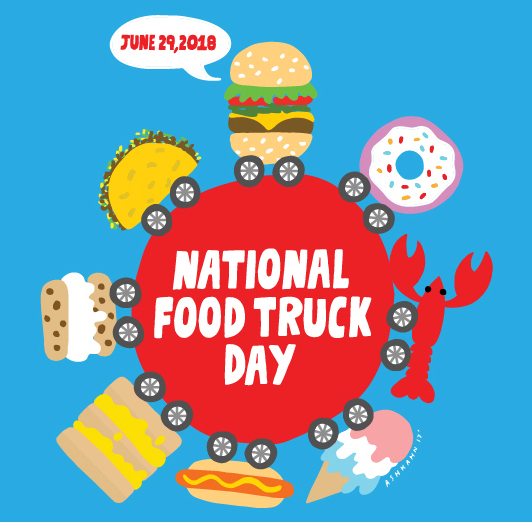 If a stroll to a food truck seems a little too casual and reservations at a restaurant are too “been there, done that”, then ball out this Sunday by booking your very own food truck to come to your house and take your Valentine’s Day to the next foodie level. 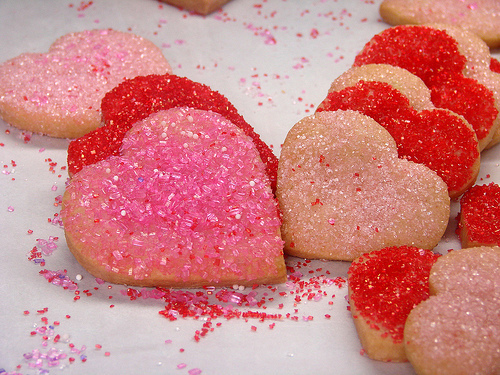 Happy Val(or Gal)entine’s Day from our Roaming Hunger heart to yours!